Recent comments by wine consultant Stephan Derenoncourt have inflamed a quiet but growing criticism of the way Bordeaux conducts its annual primeurs tastings. In an interview earlier this month with French newspaper Le Monde, Derenoncourt, whose high profile clients include châteaux Talbot, Prieuré-Lichine, Smith Haut Lafitte, Clos Fourtet and Pavie-Macquin, offered a very open description of how he vinifies an entirely separate wine to show during primeurs week. Outlining an objective to “end up with something quite controlled and with the identity of the property,” Derenoncourt explained: “Our method is to remove a bit of each distinct parcel and to put them through a special preparation to speed up the elevage. However, one producer, François Mitjavile of Tertre Roteboeuf in St Emilion, was happy to offer a general opinion on the proper conduct of primeurs tastings. 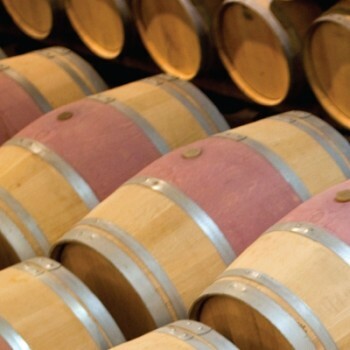 With a 2012 en primeur campaign that may represent a slight improvement on last year, but is hardly flying, the UK trade was similarly reticent about commenting on whether the timing of the primeurs tastings, just six months after harvest, allows buyers and critics to form a reliable opinion on the vintage. Two years ago, when the market was far more buoyant, Jancis Robinson MW put forward the case for fellow critics to hold back their scores until after prices had been confirmed, as happens for Burgundy, whose primeurs tasting take place well over a year after harvest. In addition, she highlighted the damaging effect such lack of consistency and transparency is likely to add to the more openly criticised pricing strategy of many estates. “I suspect that after two lacklustre primeurs campaigns on the run, plus this particular concern, it may be difficult for the Bordelais to whip up real interest in the 2013 campaign next year,” Robinson concluded. I agree, there should be much more time before the harvest and the tasting, at least a year I’d say.